Haven’t got a clue when it comes to hedges? Planting a hedge on the Gold Coast requires proper preparation and planning if you want the best results. Nobody wins when it comes to neighbourly tiffs. From boundary disputes right through to blocking out your neighbour’s view, hedges can create unexpected dramas down the track. 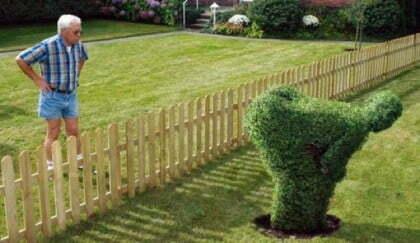 Always talk to your neighbour if you feel like your hedge might intrude on their property or view. It’s important to try and stop any disputes before they start. Know your boundaries and stick to them. Allow yourself a little extra room if your hedges really take. According to Gold Coast City Council regulations a fence is a structure, ditch or embankment, or a hedge or similar vegetative barrier, enclosing or bounding land. Put simply, if you’re planting a hedge around your property’s boundaries it must adhere to the same council legislation as if you were installing a fence. Which means you can’t grow your hedge any higher than 2 metres above natural ground level without a permit. When it comes to digging larger holes, you should always take a safety first approach. Call 1100 and get the all clear before you get the shovel or excavator out. Just like any other plant, your hedge needs the sun to thrive. If you intend to plant your hedge near a house, fence or large object, you need to take into account how much sunlight it’s going to receive. Spend one day establishing when and where the shadows come across your garden. Hedges that don’t get enough sunlight will look more frail and take much longer to fill out. Before deciding what type of hedge you will be planting, you need to know what you want. Do you want a formal hedge for a touch of class? A flowery hedge to match your colourful garden beds? Or a fuller hedge with plenty of foliage to fill your backyard? It’s all up to you! Give our friendly gardening team a call today if you’re stumped and need a little expert advice. 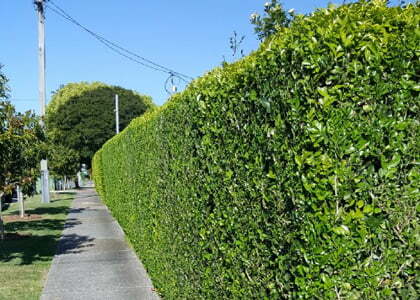 Find out the most popular species of hedge on the Gold Coast. Once your hedge begins to blossom, here’s a few hedge trimming tips to keep on top of the maintenance. 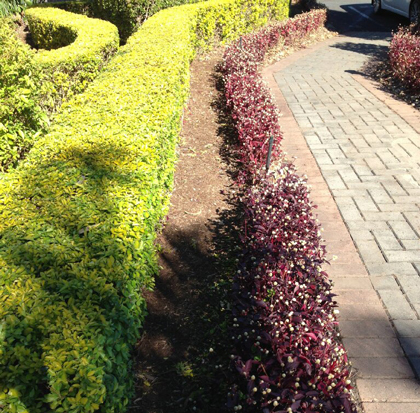 If you need help choosing, planting or maintaining your hedges on the Gold Coast, Focal Point Landscape Maintenance will be happy to help! Give us a call or request a quote online.